Smartphones are the best because they allow you to a lot of task at any given moment all thanks to the multitasking capabilities. With the latest Android 4.0 multitasking has been taken to another level. You can do a lot more at any given moment. Sometimes multitasking isn’t possible while you are on the phone because it has been disabled by default you won’t be able to use camera or any other feature of the phone. Also you don’t multitask during a phone call because it may make you lose focus from the conversation. 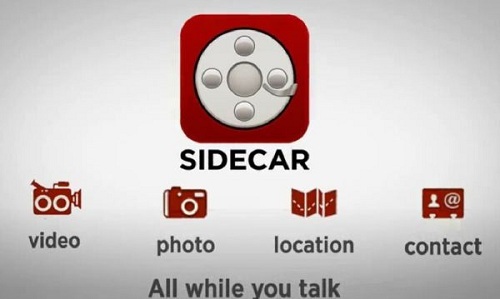 Well now don’t worry because Sidecar app is the revolutionary smart calling app that will allow you to multitask during a phone call very easily with few taps all the while without you losing interest in the conversation that you were having. According to the CEO of sidecar app Rob Williams the process through which you can share multimedia with anyone through Skype requires a minimum of 12 clicks and if you are going to share a contact with anyone in the midst of a call require you to go through 5 or more steps till you can share the contact. But with sidecar these entire process has been minimized to a bare minimum of two clicks or two steps. If you think your life couldn’t get any easier with this app then you will be surprised to know that you can make VoIP calls anywhere in United States and Canada for free of charge. If the recipient of your call has not downloaded the app then you can still make the VoIP call but you won’t be able to use the features that the app has to offer to you. 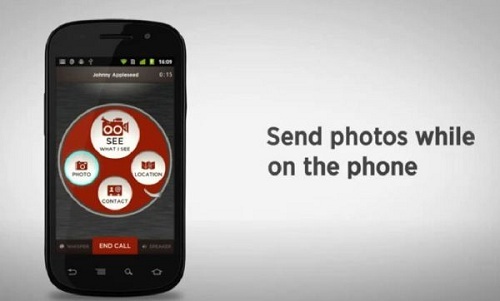 You can send a message to the recipient so that they can download this app and make use of the extra features. It has been reported that this app works very smoothly over 3G, 4G and Wi-Fi connections all over United States and Canada regardless of the carrier you are using. The best part about this app is that it’s cross platform between android and iOS. You can download this app for free from Play Store and Apple Store. The app according to manufacturer should work on all android devices that are running android 2.2 and above. But it has been seen that the app runs very smoothly and without any problems in android 2.3.3 and up. The older android version isn’t supported. Other than the compatibility issues there are many bugs and glitches that have been reported by various users of the app. This is to be expected from an app that has been just released in the Play store. The developers are working hard at resolving all the bugs and glitches that have been plaguing this amazing app. Do let us know what you think about this app. Also do let us know if there are any other apps that will allow you to multitask during a phone call.